WeChat Pay is a digital wallet service incorporated into WeChat, which allows users to perform payments and send money. With approximately 600 million monthly active users, WeChat Pay is the premier digital wallet in the People’s Republic of China (“PRC”). Our guests can now use WeChat Pay to settle the payment. 1. When you make a booking, fill in all the required fields in the booking form. 3. You will receive an email containing our merchant QR code after you reserve an apartment. 4. 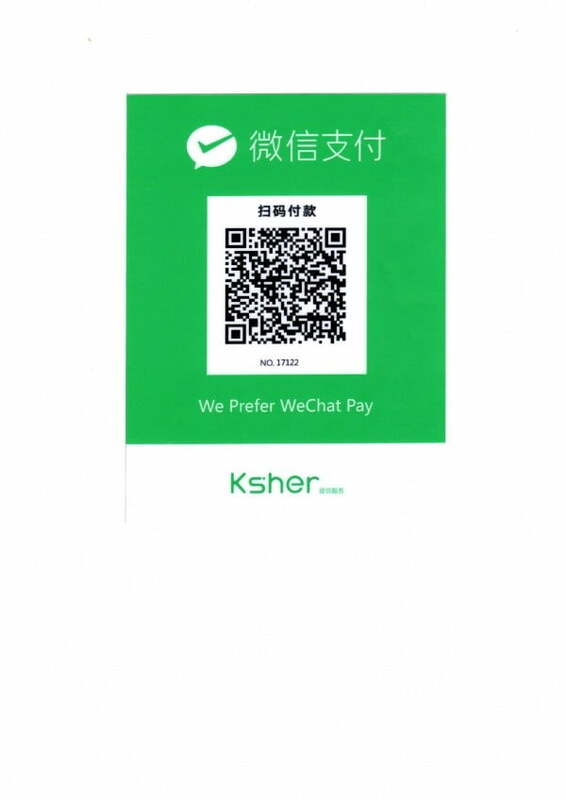 Open the WeChat Wallet and scan this merchant QR code with your phone; alternatively, you can scan the code included at the bottom of this page. 5. After scanning our QR code, you will be asked to input the amount to be paid for your booking. 7. Enter your secure password and confirm the payment. 8. We will send you a booking confirmation once the payment is received. If you have any questions regarding WeChat Pay, please feel free to contact us via info[at]greatbase.co.uk.